Political deadlock in Iraq's National Assembly, Baghdad's parliament, means that it may be until after mid-August before it tries to elect a speaker, two vice presidents, and a new prime minster, which are steps in forming a new government following April elections. Bargaining goes on backstage; hence, it is critical to examine how Prime Minister Nuri al-Maliki might be outmaneuvered from office. 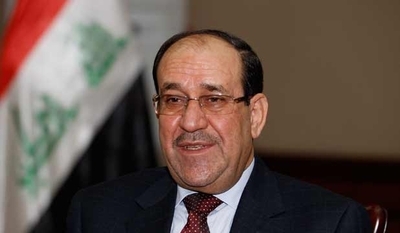 Domestic politics are against Maliki being selected to form the new government. He is unacceptable to key stakeholders: religious leaders; Iraqi Kurds; Sunni Arabs; and many Shia factions, such as followers of Moqtada al-Sadr. They do not trust Maliki's pledges and believe he uses State institutions to consolidate his hold on power. In the March 2010 elections, Maliki's State of Law Party won 89 seats of 325 possible and was second to Ayad Allawi's Iraqiya list, which had 91; the Kurds won 57. Pushed by Tehran, backed by Washington, and supported by Irbil (Kurdistan), Maliki not Allawi formed the government. Washington and Irbil presently have buyer's remorse.